After the death of the Prophet Muhammad in 632 AD, Islam spread throughout the Middle East with astonishing speed. Muslim armies carrying Muhammad’s banner conquered the Arabian Peninsula, Persia, Syria, Armenia, Egypt, North Africa, and Afghanistan. In 711 AD, less than a century after the Muhammad’s death, his followers conquered modern-day Spain, bringing Islam to Europe and scaring the hell out of the Europeans. Stretched over three continents, the Islamic empire, or caliphate, struggled to maintain its fragile unity. The capital was moved from Mecca to the more central location of Damascus, the oldest city on earth where the caliphs built splendid mosques to cement their rule. But in the middle of the eight century, the caliphate began to fragment. The largest of the rival caliphates, the Abbasid, moved their capital to Baghdad, while the Iberian (Spain) provinces established their own caliphate. Still, during the medieval period, the Muslim world flourished. Scientists, poets, and mathematicians turned Baghdad into a fabled city science and learning. To Christian Europe in the midst of its Dark Ages, the success of Islam was terrifying. Muslim armies reached France before finally being turned back by the Franks under Charles Martel in 732. Some historians see that battle as a pivotal point in history, one that prevented the spread of Islam in Europe. The destruction of the caliphate, however, came from the East. In 1258, Baghdad was captured by an invading Mongol army. The Mongols torched the cities great libraries and murdered as many as a million of its inhabitants. The Mongol leader, a grandson of Genghis Kahn, executed the last caliph by rolling him up inside a carpet and having his horses stomp the caliph to death. 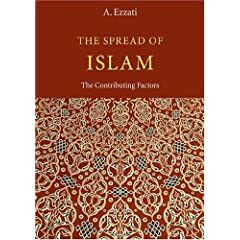 During the European Dark Ages, Islamic scholars were more scientifically advanced than their European counterparts and many English words related to science and math including ‘algebra’ and ‘chemistry’ are derived from Arabic. During a war in Central Asia in the eighth century, the calliph’s army discovered the secret of how to make paper from a Chinese prisoner of war. Older PostCogito, Ergo Sum: Why you think you are?